Is your laptop charger damaged by wet or short circuit? If you are just worried about how to find an appropriate adapter, here we recommend you to get a new laptop power cord instead of the whole charger. Before purchasing, there’re some steps should be done. It is necessary to confirm if it is the problem of the charger. Sometimes, when the battery is dead, it cannot be charged anymore. After removing the battery from the laptop, the charger transfers power to laptop components by direct contact. Then it is obvious that if the charger is wrong. If yes, it comes to check the ac adapter and laptop power cord. Sometimes, the failure only occurs in the power cord. If possible, replace it to another adapter to check if it performs normal or any other conditions like poor contact and leakage of electricity. Every corner of the power cord should be checked carefully. Actually, these two conditions of the power cord are dangerous to users. After confirmation, the next step is to find an appropriate replacement laptop power cord. Of course, to buy a new cheap laptop ac adapter is another good choice. 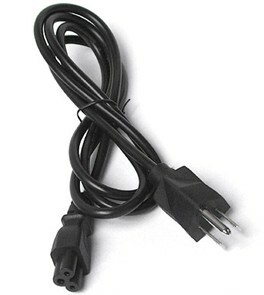 Here, we are talking about how to find an appropriate laptop power cord. After all the power cord can save you more money. First of all, please check the interface of the adapter and laptop. Normally, the power cord is just designed for a certain laptop model. In addition, the performance is still important. Although the structure of the power cord is not so complicated as the adapter, it will also influence the use of laptop and users.